J.J. Abrams and the crew of Star Wars: The Rise of Skywalker must be feeling a little smug because the title of Episode IX wasn't leaked before the big reveal at Star Wars Celebration. However, it turns out that a fan had actually predicted the mysterious title and the shocking return of an iconic villain almost seven years ago. 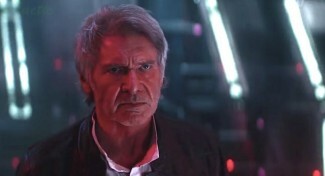 On Friday, Abrams finally unveiled the first teaser for Episode IX, and it was revealed in the trailer that the film's title would be The Rise of Skywalker. Interestingly, a Twitter user named Gabriel Garcia had actually predicted the same title for Episode VII. 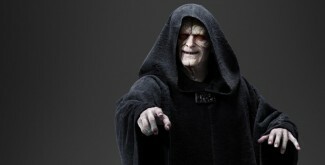 Amazingly, the fan even added that the movie would bring back Emperor Sheev Palpatine. Take a look at the tweet below. It's not exactly a shocking prediction considering that people were hoping that Luke Skywalker would return more powerful than ever in Star Wars: The Force Awakens. Sadly, we only had a tiny glimpse at Luke in Episode VII. In the meantime, fans are astonished that Garcia had correctly predicted that Palpatine would be back in the current trilogy. It was previously reported that Abrams may have been planning to bring Palpatine back in The Force Awakens. Concept art from Episode VII had shown a clear illustration of the Emperor's throne in Death Star II submerged underwater. Although Abrams was not able to pursue Darth Sidious' return in TFA, he is certainly eager to have Ian McDiarmid play the character again in The Rise of Skywalker.